This where i came until today on my model adaptation from LW.To be honest I m a bit disappointed about how things came.Splines modeling need serious preparation and planning to have honorable result.I m not a good modeler, but spline are the most difficult because you need to control a lot of parameters bias,magnitude?alphas,Gammas, tension !! what s this !! i ve posted the Wip for everybody have a look.If any one (the pros ! Rob,Fuchur,Eric Largento;, ect) have an idea to optimize it or to give us a " DECREASE the CREASE" Technique, we will be happy ! It's hard to make a video about this because the screencam compression tends to cover up the crease you're trying to fix so you can't tell the difference between fixed and not fixed. Most of your splineage is good. Some parts of it could still be simplified. There are some spots where you dead ended a spline into the side of a four point patch. That's always bad. But the other "creases" are almost always fixed with a gamma adjustment. I like to select a CP that's on a crease, then (T)urn the model so the crease is really obvious, then LMB and slide on the gamma property in the property window to adjust the gamma until it looks smooth. Here's a vid showing the workflow but, like I say, the screencam compression makes it hard to see the creases in the first place. thank you Rob , it s very kind from you to have make this video.The eye is from LW just as a guide. I'll admit there are people like Jim Talbot and Will Sutton who seem to be able to make faces that are smooth without much bias adjustment at all. But I don't know how they do it. Putting aside the obvious splining errors, can you go thru his mesh and show how to smooth it without bias editing? Not when the biases have already been adjusted in the modeling process. They've already been "corrupted" and will no longer act like virgin splines. 1) Try to keep even spacing between splines. Splines too close to other splines, cause ridges. good when you want ridges (I do this to give an "edge" to the lips of my characters), but not good when you want smooth. 2) Make adjustments using the constraining keys. This is a biggee. As much as possible, keep your splines on even planes to begin with. 3) Don't forget to look at your splines from above and below. When I began modeling, I tended to just look at the front and side view, but be aware that your curves should be curved when looking from above and below, too. 5) Try to put your hooks in places where the skin of the character isn't going to move substantially (like the temples or the cranium). I dont use the bias adjustments as well. I simply tweak the splines to get the smooth look. Really? 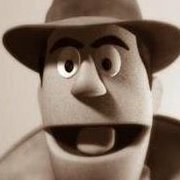 A spline set to the default 0 is different than a spline with the default 0? Can you show a case of that? When I started modeling in AM and found bias tweaking, I thought I had found the holy grail, but...Now that I am a bit more experienced, I find that I will use bias tweaks very rarely. Once you learn how splines behave and how they flow, you will learn how to get smooth models. 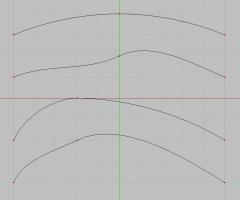 A spline with default bias settings has not had it's biases adjusted. but that's not a spline set back to 0. 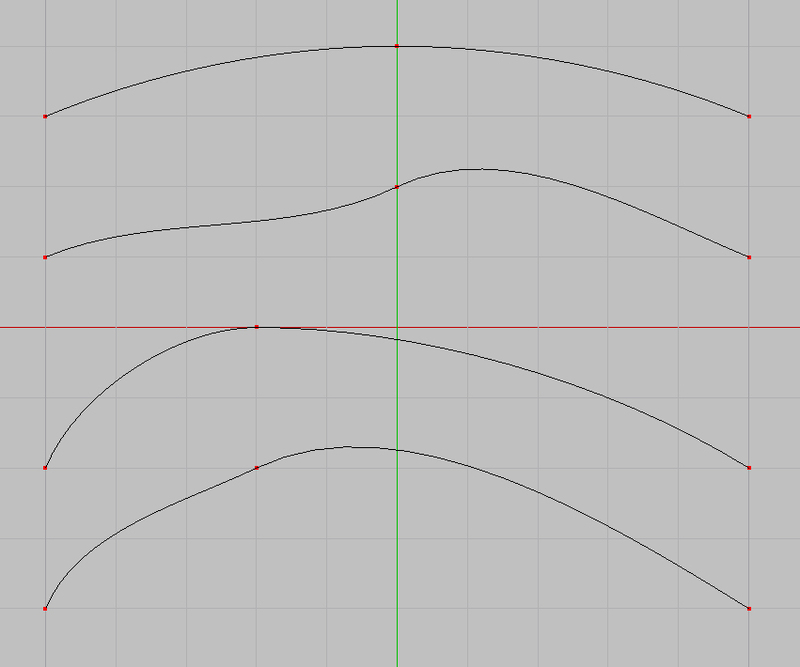 Can you show a case where a spline set to 0 is any different than a spline with the default 0? Why would there be a difference? AND coincidently - in the process of finally getting around to installing 15g - I was just downloading the 15g versions of Steffans plug-ins (an absolutely amazingly helpful collection) - I came across the "smooth" plug-in - I haven't tried it - but it looks like it might be very useful in the decreasing creases quest. I don't think there is but you said there was. What's to stop anyone from just setting them back to zero.? 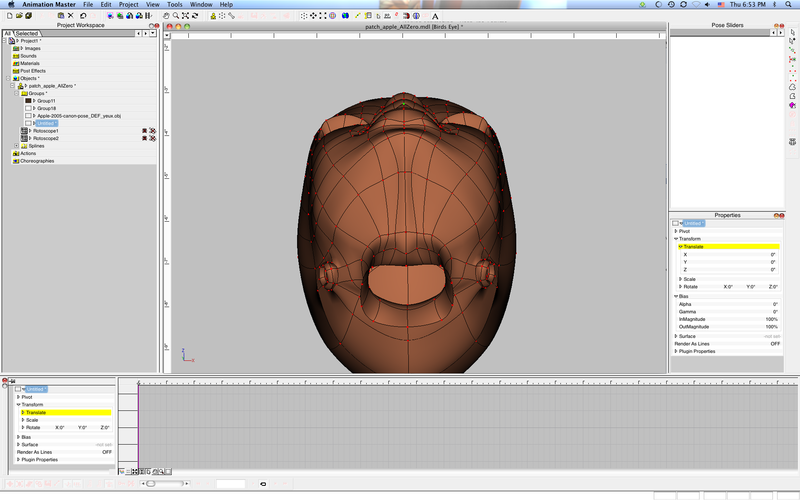 You group the whole mesh, type in 0 for the bias. Yes, and I said I didn't know how to do it because I never mess with biases. If I were to painstakingly go back through each CP and reset every bias handle... (I tried selecting the whole thing and mass changing them, but when I clicked on individual CPs, I still found they had varying settings) it would change the shape of the model and very likely the specific crease you wanted to smooth out would no longer be a crease. Too many things would have changed. I then gave the instructions of how I deal with making models smooth without using biases. I selected the whole mesh, set them to a number not zero, then set them to 0. They all seem to be zero. I guess you're just wanting to visually see what I mean by the tips I outlined? And here it is after making some modifications. To really see the benefits, these sort of modifications would need to be made along the entire length of the spline, since every curve has an effect on every other curve. I don't view modeling as a science and I just feel my way around a model. I also am not one to say that there is only one way to do anything (I don't even follow that dictum in my own work). Mostly i did this on the cheeks and forehead and a bit on the nose. It's not finished but it's better. But I don't' think I could do that to solve the creases around the corners of the mouth without moving the CPs so much that the intended shape was gone. I think you'd have to use bias there.